ABBEYFEALE ON LINE! : LIMERICK CAN ROUT THE REBELS! LIMERICK CAN ROUT THE REBELS! 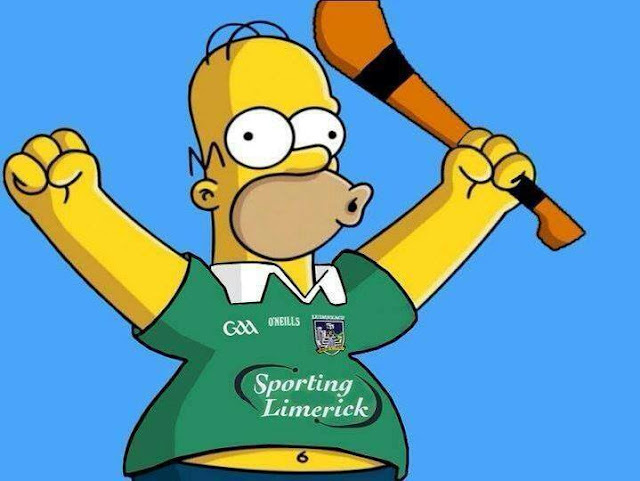 Limerick hurlers play Cork on Sunday in the All Ireland semi-final. Abbeyfeale is festooned with green flags and bunting in support of our county team. Excitement is high as memories of 1973 come flooding back. “Do you think they can do it? Will they reach the final?” one life-long supporter asked anxiously. He had been in Croke Park on that famous day long ago when Limerick beat Kilkenny and brought the Liam McCarthy Cup back to Shannonside. “This could be their year alright.” his companion, dressed in a Sporting Limerick jersey assured him. “They have a lot of young players coming up.” He wasn’t even born the last time Limerick won an All Ireland. Around the town they are nearly all talking about the one thing, and it isn’t the approaching visit of Pope Francis or the latest tweet from Donald Trump. The talk is of hurling and of hurling heroes past and present, and the hope of further glories yet to come. Abbeyfeale was always known as a footballing town although we had a more than useful junior hurling team back in the seventies. However, we always followed the Limerick hurlers, and bus loads of fans will travel to Croke Park on Sunday to cheer on the men in green. Paddy Power makes Cork slight favourites. This will suit Limerick. They have had too many false dawns since ‘73. The mantle of favouritism does not sit comfortably on their shoulders. David was an outsider when he slew Goliath. Limerick can inflict the same fate on Cork. The sling-shot is loaded and ready to fire. The Rebels are in our sights! Galway play Clare in the other semi-final on Saturday evening. Both games are live on RTE and Sky Sports. All Ireland Hurling betting; Galway 1/1, Cork 7/2, Limerick 4/1, Clare 6/1. Football betting; Dublin 4/9, Galway 6/1, Kerry 9/1, Tyrone 12/1, Donegal 16/1, Monaghan 16/1.